A casa 1950 típicos em múltiplos planos está localizado na bela Stocksund ao norte de Estocolmo. A casa está localizada no altamente procurado local com sol de manhã à noite, e vista para o lago a partir do terraço, sala de estar e todos os quartos. Com cerca de 200 metros da avenida e vista para a bela casa torre Cedergrenska localizado perto da praia local com grandes áreas do parque. Um passeio de bicicleta de cerca de 25 minutos leva-o para a cidade, de carro leva 10 minutos. Outra opção é levar o Roslagsbanan trem local que leva 6 minutos (10 minutos para a estação). Inclui: A casa é alugada totalmente equipado e mobilado. Roupa de cama, lençóis, toalhas, lavagem e equipamentos de limpeza etc estão incluídos. Electricidade, água e wifi (via fibra) estão incluídos. 4 quartos para até 8 pessoas, 2 casas de banho e 2 WC separado. Grande salão e sala de jantar (55 m2) com lareira. Cozinha ampla, totalmente equipada (22 m2) com mesa de jantar. 225 + 95 m2 casa virada a sul, construído em 1950. 1500 m2 terreno de maçã, ameixa e cereja árvores, gramado para o jogo e rock. Grande terraço elevado (30 m2) com nenhuma transparência em pedra natural vermelha com churrasqueira a gás, mesa e cadeiras. Cozinha (totalmente renovado 2016): Full-size geladeira e freezer, máquina de lavar louça, fogão de indução, dois fornos, um com vapor e "Sous vide", e outro com o tipo de aquecimento e forno de microondas. máquinas de café, etc. Cozinha para 4. Quarto 1: cama de casal, 180 * 200 cm. Quarto 2: sofá-cama para 2 pessoas (85 * 180 foi cama), adequado para crianças. Grande casa de banho com duche e banheira separados (jacuzzi para 1 pessoa), WC e duas pias. Tv / sala de jogos: Grandes salas abertas com varandas viradas a sul, balking francesa contra Cedergrenska torre. Quarto 3: Quarto do sótão para 1-2 pessoas (120 * 200 cama ea possibilidade de colchão chão. Quarto 4: Sala ampla com a sua própria saída para a trama, vista para o lago e uma cama de casal (160 * 200). Ténis de mesa. We had a fantastic week in Daniel's house, who was extremely easy to deal with and incredibly accommodating (he helped us out with a last minute request ensuring all wishes were met). The booking and checking in & out process couldn't have been easier. Daniel's neighbour whom we collected the keys from was very friendly and willing to help, although given the excellent written welcome instructions, as well as food and drinks to get us started, we didn't need her help! The house is lovely with a very modern kitchen and beds for all (we were 6 adults, 3 children and 1 baby). There was plenty of room for everyone and there is a fantastic lounge which was lovely in the evenings to socialise. With respect to the children's facilities there was a whole floor to keep the kids entertained (toys etc), as well as a trampoline in the front garden and natural garden in the back with rocks and trees which our kids loved climbing on. 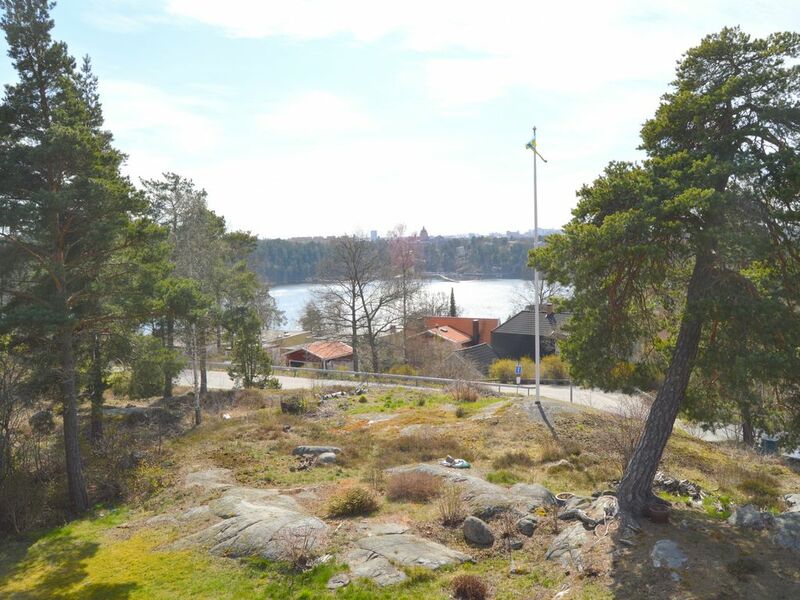 The location of the house is in one of the nicest areas of Stockholm County, between the city centre and Arlanda airport which meant easy access to both, however we found we spent much of our time in the local area due to the amazing beach and nearby nature. I would happily rent this house again, not only for the quality of the accommodation but also for the ease of booking and the friendliness of Daniel and his family. Easily 5 stars! Wow! My husband and I cannot thank the owners, Daniel and Begona, enough for providing the perfect house for our family’s summer visit to Sweden. Throughout the booking process, Daniel was extremely pleasant and responsive; he even managed to assist us in finding a neighborhood babysitter for our one-year-old daughter while we were staying in Sweden. When we arrived, the house was even prettier than the picture, with a fantastically renovated kitchen and a terrace looking out toward the Baltic Sea. Daniel and Begona had provided “emergency food” of bread, meats, cheeses, fruits and juice so that we didn’t have to rush out to the grocery store when we arrived, as well as a bottle of Daniel’s own Stocksund Cider, which was a delicious treat. They also provided us with a very detailed and extremely helpful set of instructions for the house, although they didn’t hesitate to answer when we called them with questions about how to use the washing machine, for example. Their home overall was extremely well-maintained and full of beautiful Stockholm summer light, and is situated very near the Baltic Sea, with a wonderful biking/running/walking path about three minutes away. Although it is possible to do without a car, we found that it made getting to the grocery store and going into Stockholm much quicker, especially because we have a young child with very little patience. Daniel and Begona were just the nicest people and we felt privileged to have the use of their house for two weeks. We would wholeheartedly recommend this property and the owners for a wonderful escape! Thank you so much for staying at our house, and sharing your experience with such a nice review. Great tips in there too for other people. We are very happy to have gotten to know you and your family, and it's been a true pleasure to have you as our guests! We arrived late afternoon at the house due to flight being delayed for over 6 hours. The house was welcoming, with fresh flowers and fruits, spotless clean. Daniel was very kind to leave us not just fresh breakfast items for next morning but enough good for a light dinner that night. It would have hard to make it out of the house with 3 younger children. Neighborhood is great, with great short local walking trips, grocery stores close by. Easy access to transit to go downtown/attractions. Would stay there again if visiting. Thank you for staying with us and for your kind words. It was our pleasure having you as guests, and I'm glad you had a good time! Let's see if you come back for winter some day, you would be most welcome! Great place. Very nice and hospitable hosts. Wonderful view of the sea and castle. Spacious, well furnished and well equipped . Children friendly. Groceries store nearby. My family enjoyed our 4 days stay. Thank you for staying at our house, we're glad you enjoyed the stay and the house! Best regards to your wonderful family!